This is NOT a normal post for me to publish, but I wanted to quickly document what I’m seeing. I’m in the middle of heavily analyzing some larger algorithm updates that occurred in December (there were several), and I came across a very interesting situation. 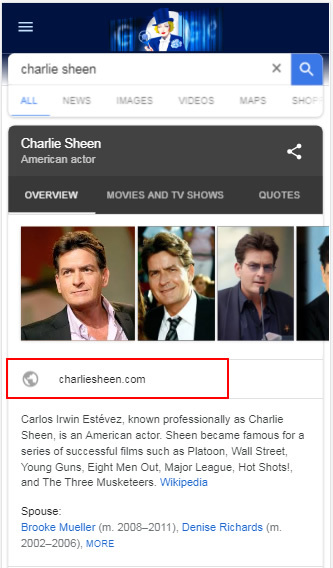 I noticed that some celebrities aren’t ranking anymore for their own names. 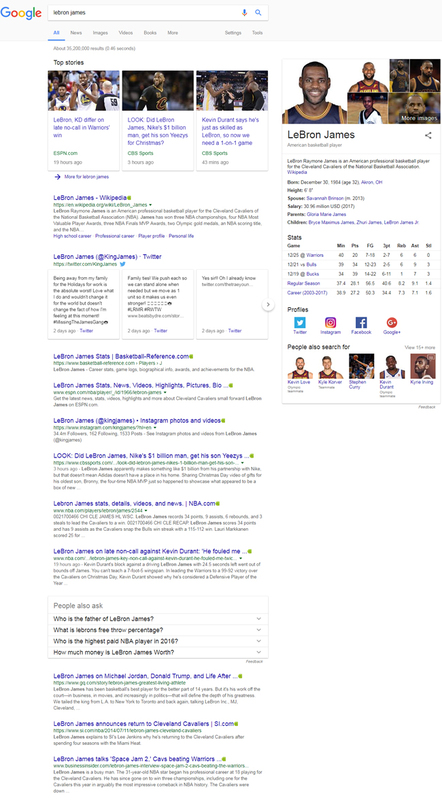 Their official websites used to rank number one in the search results as of early December, but those sites are now either at the bottom of page one or even off page one. 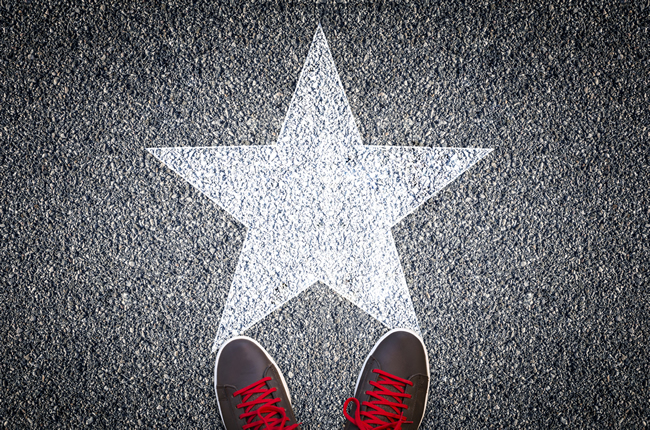 I initially noticed several celebrities were impacted, including John Lennon, Lebron James, Kristen Stewart, and Charlie Sheen. I also noticed some strange things going on rankings-wise with the official website for Miley Cyrus a few months back, and that seemed to calm down, but she might be experiencing some issues again. I wasn’t planning on digging into this situation since I’m neck deep in analyzing other updates that occurred this month, but again, I wanted to document the volatility I’m seeing for the celebrities listed in this post. I don’t know if this is collateral damage based on other updates Google has pushed, or if this is intentional. Again, I plan to check this out further soon. 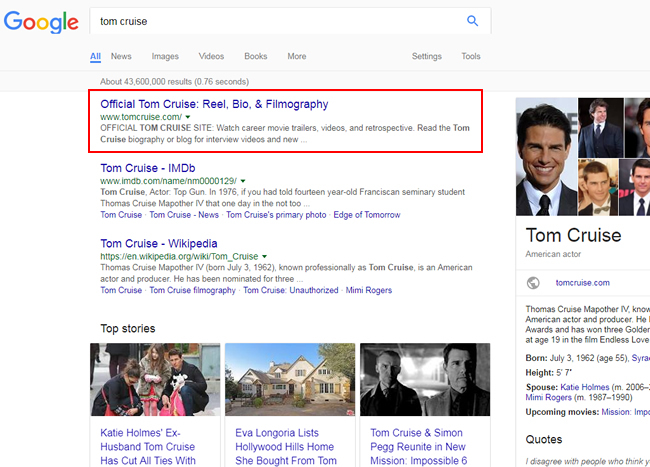 Update 12/27 8AM: I just added Tom Cruise’s site, which dropped on the same day. Also, although not as bad of a drop, Barack Obama’s official site also dropped several spots. 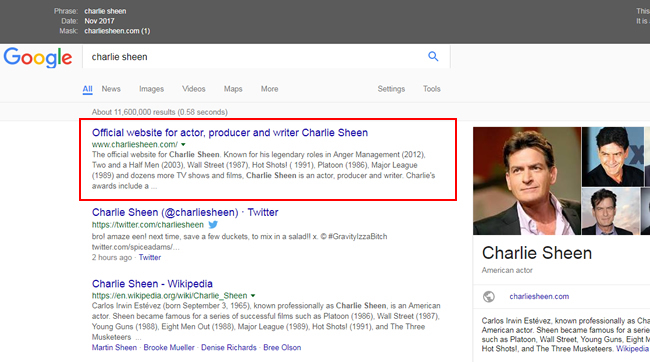 It used to rank #1 for his name, but is now under Wikipedia and Twitter. See the screenshots below. 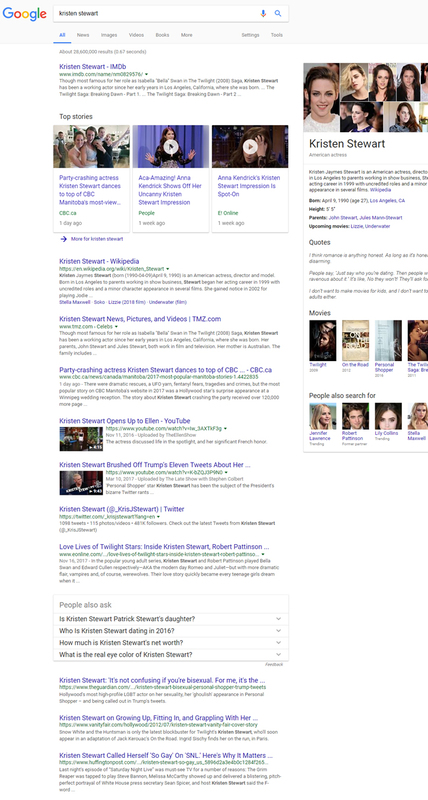 You can also see the search visibility dropping and then bouncing back, and then dropping again. 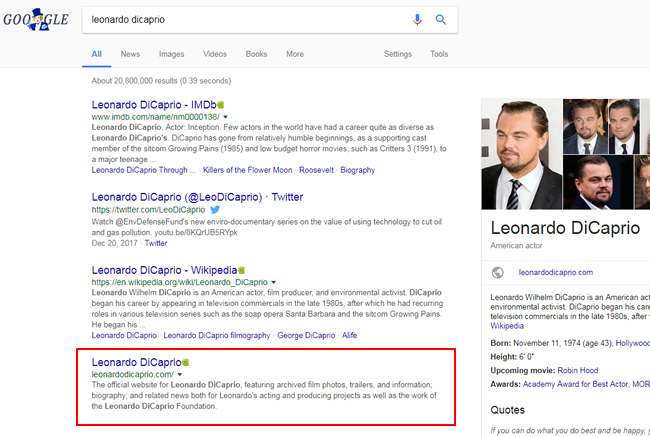 So it’s pretty clear something is going on here… Continuing my updates, I added Leonardo Dicaprio’s site, which also dropped on 12/15. 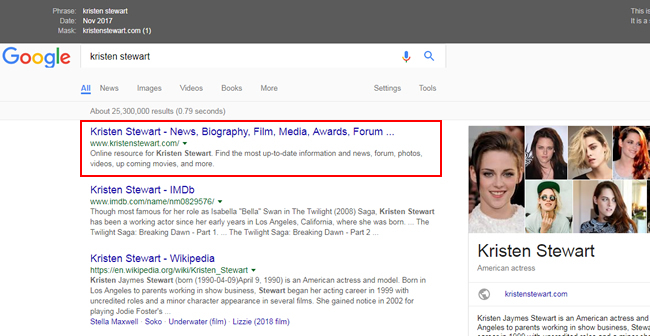 It now ranks under IMDB, Twitter, and Wikipedia, when it used to rank #1. 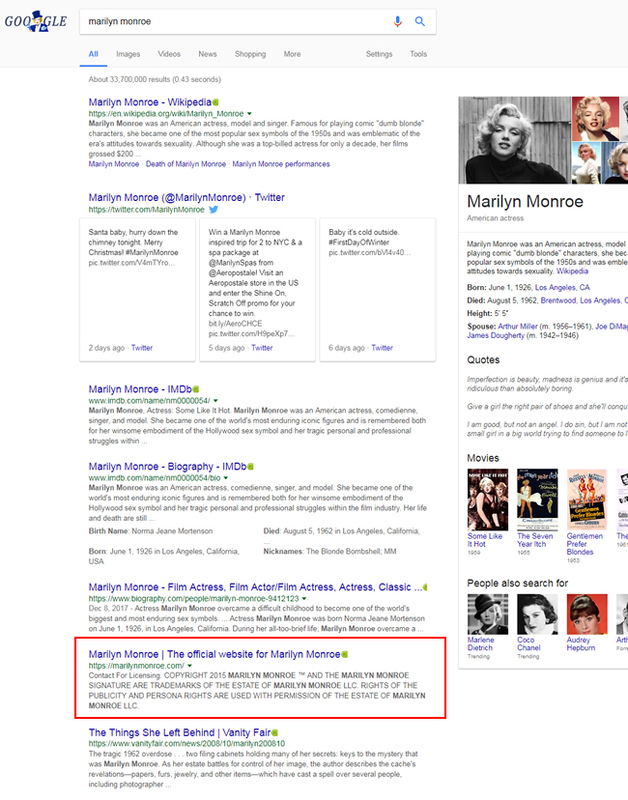 I also included Marilyn Monroe’s official website, which also dropped. It now ranks #6 when it used to rank #1 before the update. 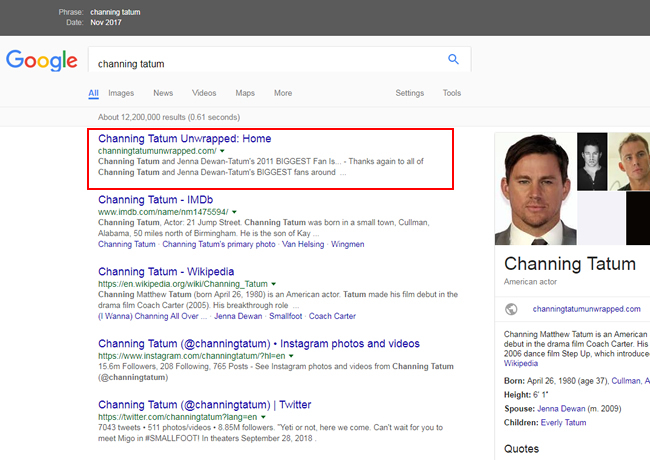 At 3PM, I also added Channing Tatum, since his site dropped from #1 to #11 for his name. There are many examples of this happening across celebrities. 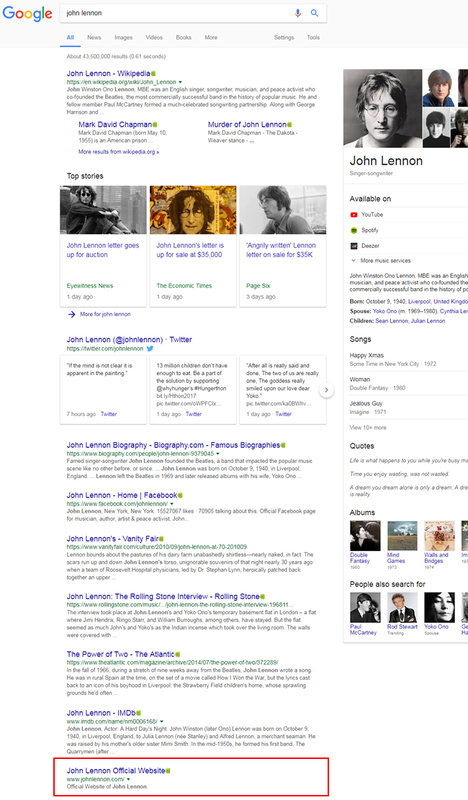 After digging into the sites that were impacted, I’m starting to believe Google could be simply treating them just like any other site (even if they are the official celebrity website). They are often very simple websites, they don’t contain a lot of content, and sometimes they are just single page websites. So quality is definitely an issue. 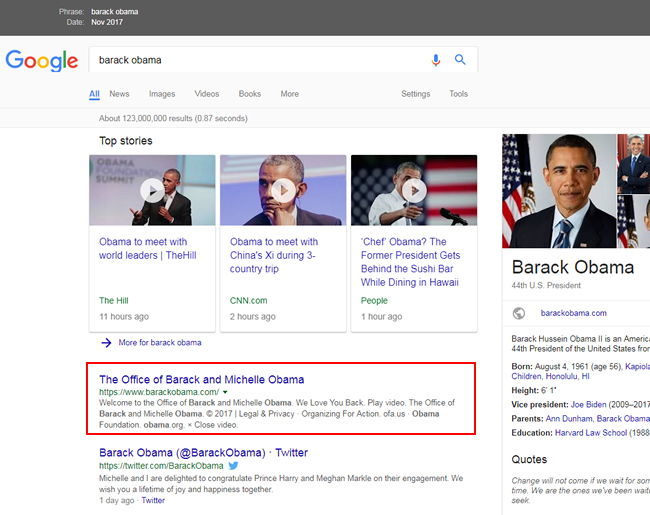 If that’s the case, then Google must have been treating them differently before 12/15/17. After going through a number of the sites impacted, I can’t imagine users were happy with the results. 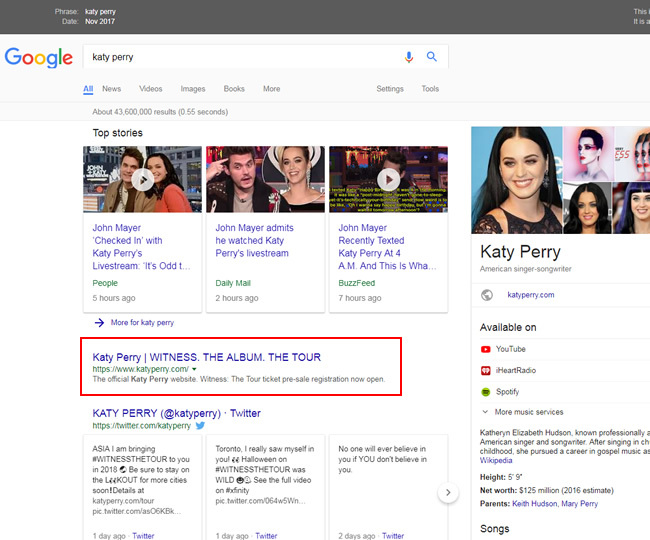 And we know Google always wants to provide the best results possible. I’ll post an update with any changes I see. Stay tuned. 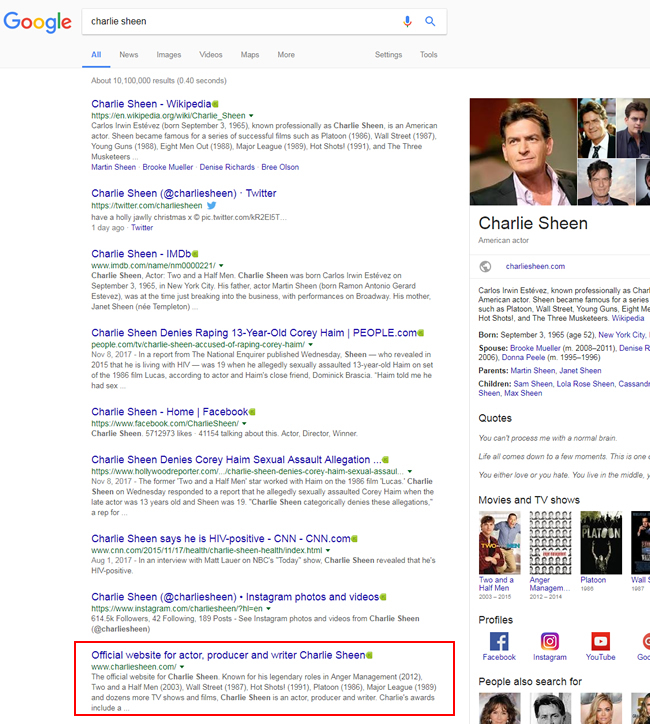 Update 12/27 12:30PM: I included information and screenshots below about searches on mobile devices and how celebrity Knowledge Panels come into play (which sometimes contain links to the official websites). In the meantime, here are some screenshots of what I’m seeing rankings-wise. It should be interesting to see if the sites bounce back as Google continues to make changes. Or maybe this is what they want… It’s hard to say at this point, but I saw enough celebrities drop that I decided to publish this post. 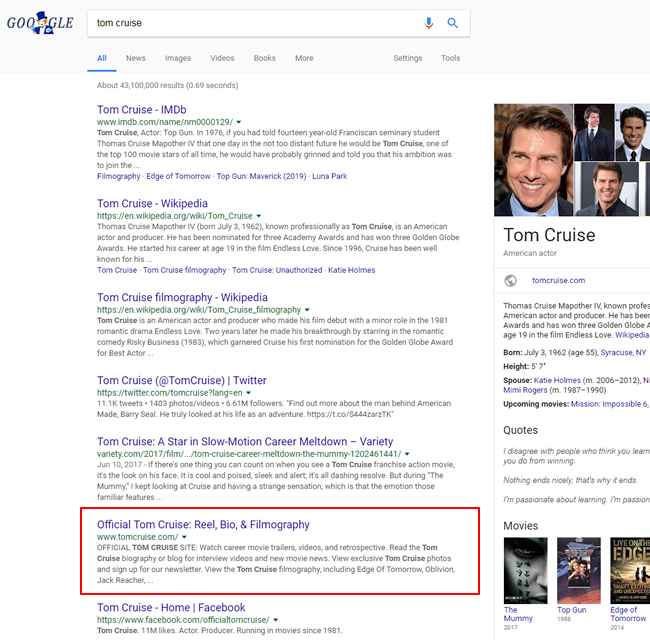 Update 12/27 8AM: I added Tom Cruise after hearing from Dan Sharp of Screaming Frog. 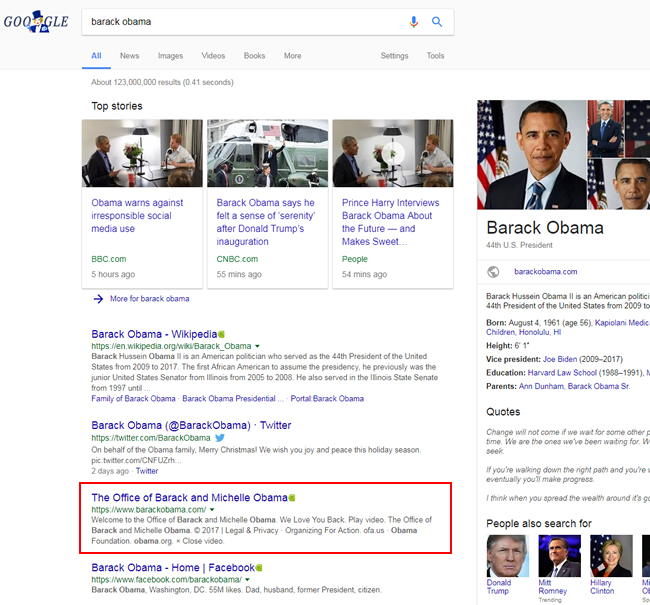 Update 12/27 9:30AM: I added Barack Obama after seeing his official site drop in rankings for his name. 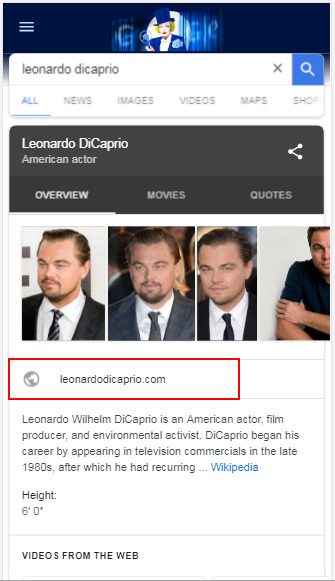 Update 12/27 10:20AM: I added Leonardo Dicaprio after seeing his official site drop in rankings for his name. It was similar to Barack Obama’s situation above. 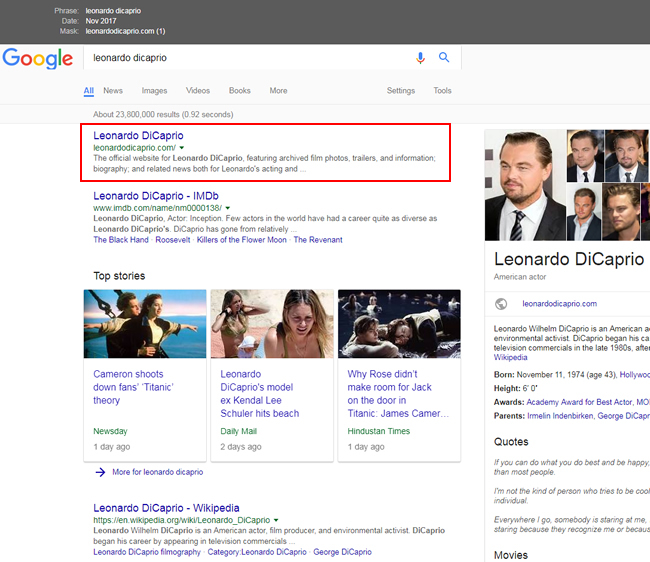 Leo’s site dropped from #1 to #4 (now under IMDB, Twitter, and Wikipedia). 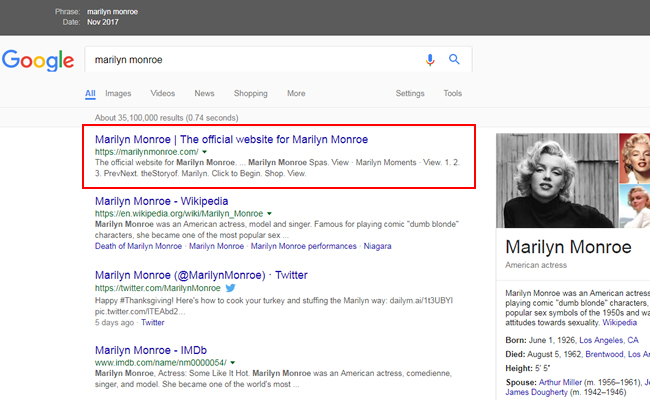 Update 12/27 11:00AM: I added Marilyn Monroe after hearing from Julie Logan of Irish Wonder. 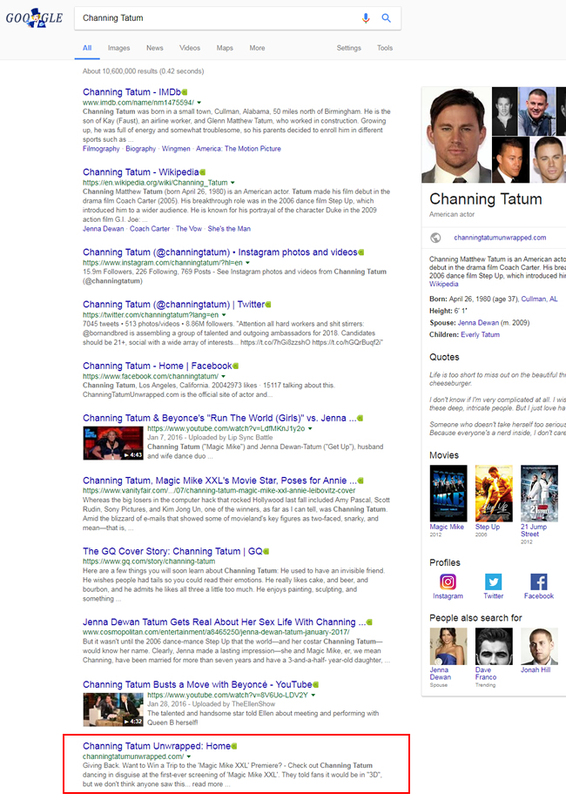 Update 12/27 3:00PM: I included Channing Tatum since his official site dropped from #1 to #11. 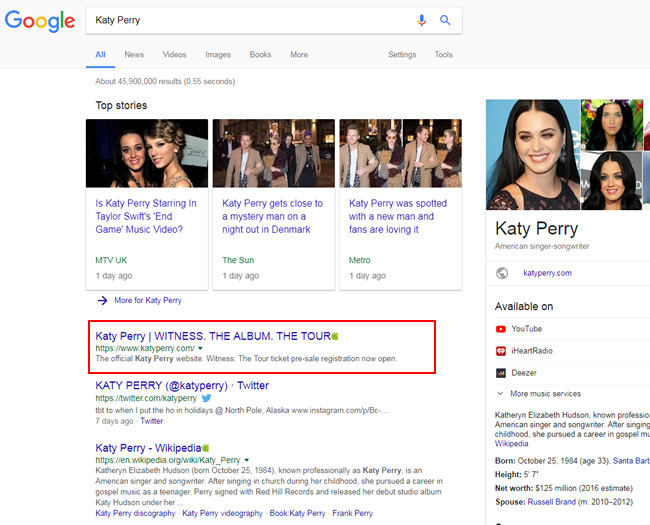 Update 12/28 9:30AM: Many people were asking for examples of celebrity websites that didn’t drop, so I included Katy Petty below since her official site still ranks #1 for her name (and search visibility remained stable through the update). Update 12/27 12:30PM: After analyzing the sites and the search results more, I noticed an interesting situation when searching on mobile devices. We know Google is actively moving sites to its mobile-first index based on the boom in smartphone usage. And we also know that Knowledge Panels can take up a huge amount of real estate on mobile phones. 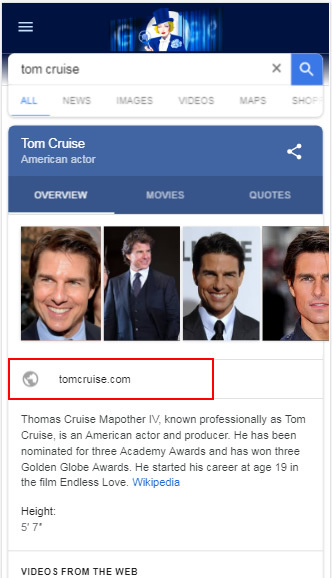 Well, when you search for some of the celebrity names that dropped during the update (on mobile devices), you can see how Knowledge Panels comes into play (and they often contain a link to the official website for the celebrity!) So just checking on desktop doesn’t give the full picture. If you test on mobile devices, you can often still see the official site listed. 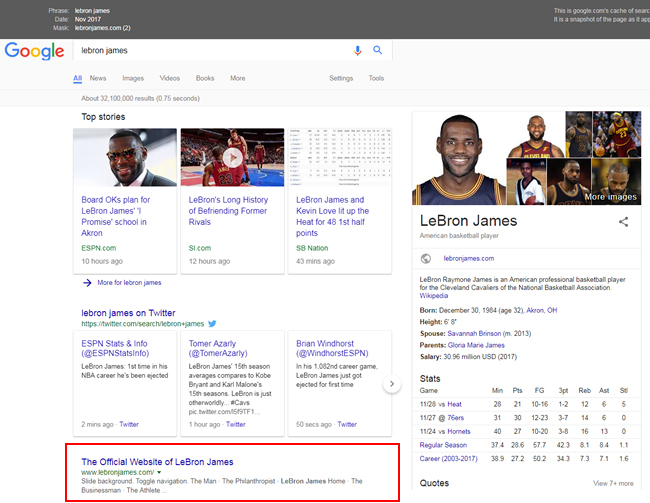 The sites have dropped on desktop, but can remain in the Knowledge Panel, which shows up above the search results. This didn’t always happen, but it did show up for several tests I performed. I’ll post an update as I gather more information and perform more testing. I’m also planning on pinging some people from Google about this in case it’s a mistake. Stay tuned. Update: I reached out to Danny Sullivan and John Mueller from Google and heard back from Danny on Twitter. He passed along the information to others at Google and they are looking into it. I’ll post another update once I hear back (if we hear anything about the situation).